On 14 May 2018 Semmelweis University in Hungary hosted the Eurolife Symposium. The scientific event, which welcomed presentations from renowned academics from Semmelweis University, offered cutting-edge lectures in oncohematalogy, heart and vascular studies, physiology, epigenetics and genetics, cell- and immunobiology. Prof. Hogendor is a professor of pathology, a member of the Board of Directors, and the dean of the Leiden University Medical Center (LUMC). Apart from that he is a guest professor at Oxford University and the Free University of Brussels (FUB). He is also chairman of the Netherlands Committee for Bone Tumours, a member of the Supervisory Board of the care organisation Pieter van Foreest, the National Museum Boerhaave, and the Royal Academy of Arts. Pathology is an insightful profession. Various signs and symptoms of disease such as abdominal pain, forgetfulness and fever can be correlated with changes at a cellular level. My profession creates a certain awareness, demystification. Many patients with bone and soft tissue tumours are referred to our hospital. The patients first present to the general practitioner their pain, often around a joint. Following the clinical work up – blood analysis, scans etc – I eventually get to see the tumour cells under the microscope or even smaller at a DNA-level. From the growth pattern and the cytonuclear features one can tell whether the lesion is benign or malignant, crucial for the appropriate treatment. Clinical symptomatology alone is insufficient for diagnostic accuracy. This is what probably attracts me to the microscope and laboratory: the desire, the urge to know something at the scientific level with certainty. As few uncertainties as possible: these are the facts. Pancras C.W. Hogendoorn absolved Medical School and his doctoral research at Leiden University. The title of his doctoral thesis (1990) reads ‘Immunopathogenetic mechanisms in experimental glomerulonephritis’. Subsequently Prof. Hogendoorn further specialised in oncologic pathology at the Netherlands Cancer Institute (NKI) in Amsterdam and the Memorial Sloan Kettering Cancer Center in New York. In March 1999 he was appointed Professor in Pathology of the Leiden University Medical Center. The title of his inaugural lecture was ‘Form Follows Function’. For more than 25 years, Prof. Hogendoorn has carried out research into molecular pathogenesis and diagnostics of bone and soft-tissue tumours. He has over 400 scientific publications and various influential reviews and 23 chapters of books to his name. Prof. Hogendoorn has held a number of national and international offices at scientific organisations. Currently he is chairman of the Netherlands Committee for Bone Tumours, a member of the knowledge coalition for the Dutch National Research Agenda, chairman of the Bone and Soft Tissue working group European Society of Pathology, chairman of Education and Training (O&O) at the Netherlands Federation of University Medical Centres (NFU), and chairman of the League of European Research Universities (LERU) Policy Group in Biomedicine. 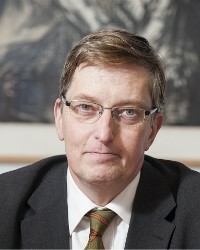 In the past he was, among other things, chairman of the sub-committee of Pathology and Biology of the EORTC Soft tissue and Bone Sarcoma Group, the European Osteosarcoma Intergroup, the EuroEwing consortium, chairman of Eurolife, and a board member of the Connective Tissue Oncology Society and the European Musculoskeletal Oncology Society. Prof. Hogendoorn was a member of the advisory board of the prestigious Journal of Pathology. He held the same post for Diagnostic Histopathology and Hereditary Cancer in Clinical Practice. Prof. Hogendoorn is still an active member of the working group of bone and soft-tissue tumours of the European Society for Pathology and the United States Academy of Pathology. Because of his research and diagnostic work in the field of bone and soft-tissue tumours, the World Health Organisation (WHO) asked him in 2002 to join the working group for the classification of these tumours. As such he was a co-author of the WHO classification for bone and soft-tissue tumours and was in 2013 appointed editor of the most recent edition. Pancras C.W. Hogendoorn is an honorary member of the Belgium Society of Pathology. 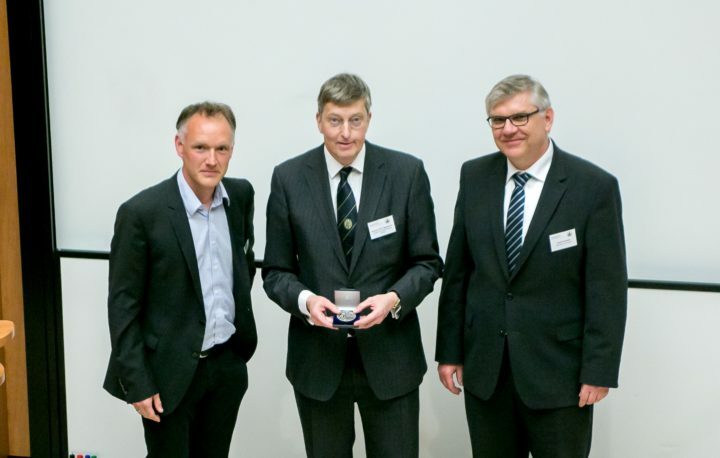 He received the European Oswald Vander Vekenprijs (2008), the Corrine Farrel Award of the International Skeletal Society both in 1994 and in 1998, and the Jeremy Jass Prize for excellent research in the field of pathology in 2011 and 2015.